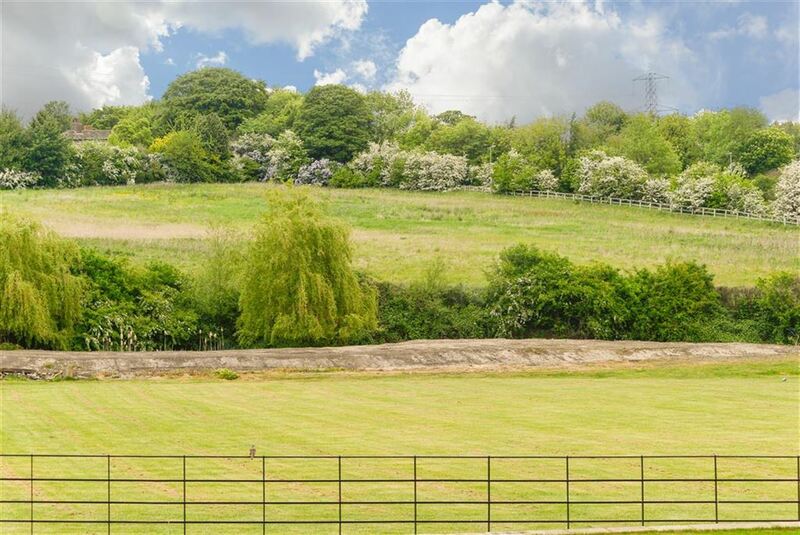 A truly unique and individual newly built barn set in approximately two acres of private gardens affording fabulous far reaching views and a wonderfully private setting. 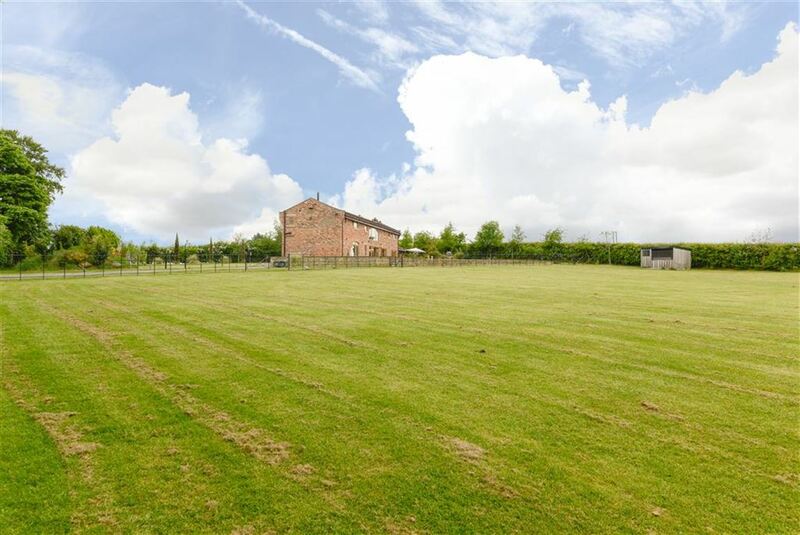 The property was built for the sellers retirement and not for resale but due to circumstances is now offered for sale. 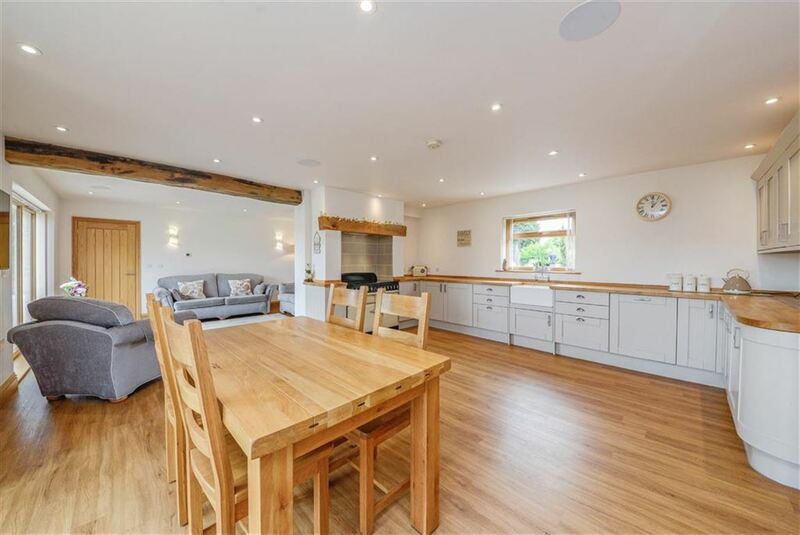 Presented to an exceptionally high standard and constructed with a wonderful eye to detail this impressive detached residence is a stunning example of traditional design blended with a modern bespoke interior. 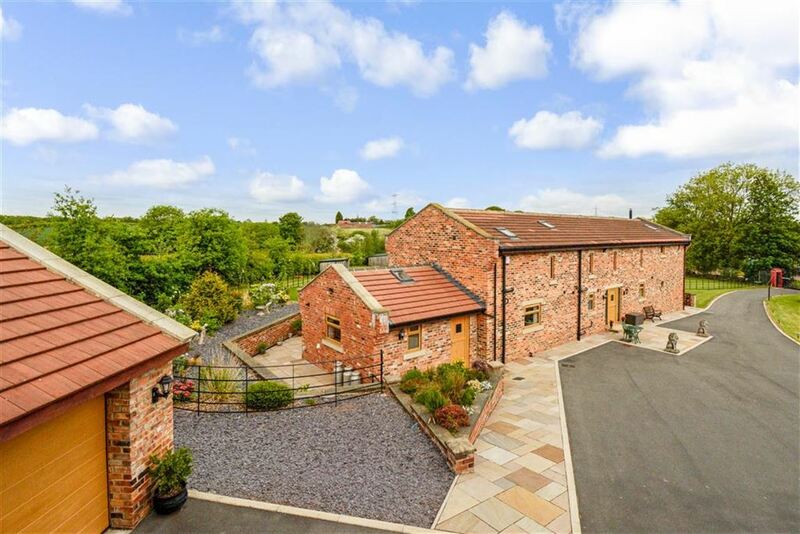 Ideal for the family market the property is located on the very outskirts of Wakefield allowing easy access to local amenities, highly regarded schools and transport links, making this an ideal position for commuters with the motorway network just minutes away. 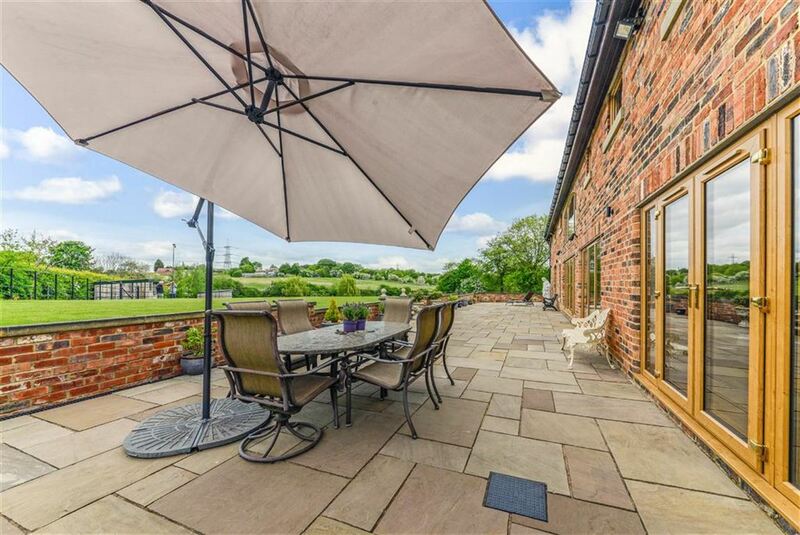 The privacy of the setting and land surrounding the property provides a feeling of safe seclusion yet the cities of Wakefield and Leeds with all that they offer are on the doorstep. The spacious accommodation is arranged over two floors with no expense spared on finish quality and charming character filling every room. 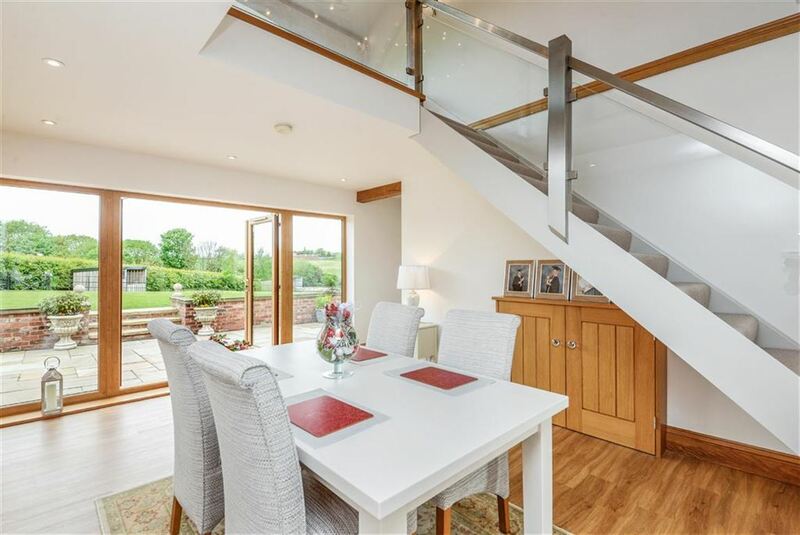 To the ground floor a grand reception hallway full of light extends up to the atrium landing with picture window to the rear aspect affording stunning views over surrounding countryside. 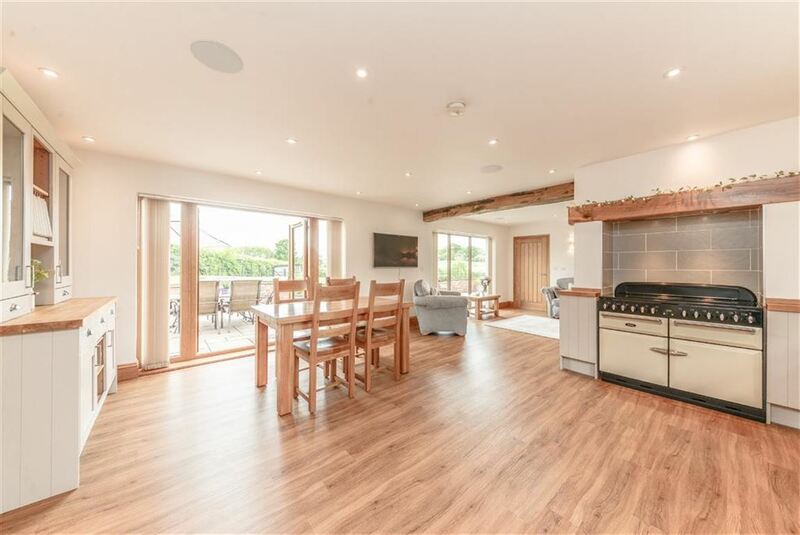 The main lounge features an inset fireplace with log burning stove, further snug reception room and a most impressive open plan dining kitchen with further living space ideal for families or a stunning space for entertaining. To the first floor are four generous double bedrooms, bedrooms one and two with luxury en-suite and further house bathroom. 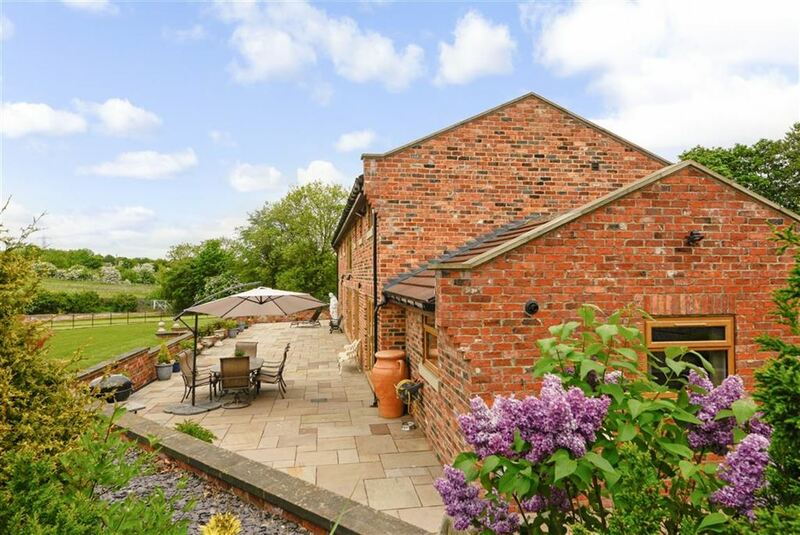 Further features include, gas fired underfloor heating to the ground floor. French polished oak internal timbers for minimal maintenance. Integrated sound and CCTV systems along with CAT5 electronics. 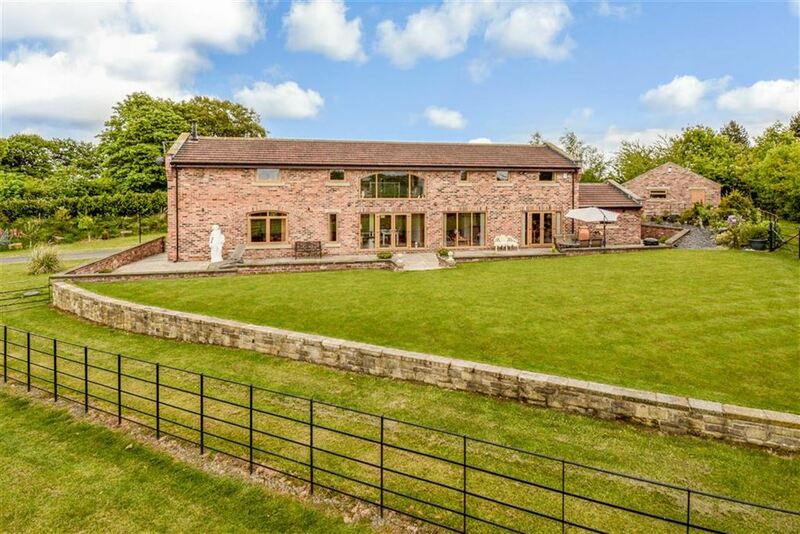 Only a close inspection with fully reveal the stunning quality, overall size and unique setting of this wonderful home. EPC rating is B.
Fitted with a two piece suite comprising, wash hand basin and W.C. Window to the front aspect and extractor fan. 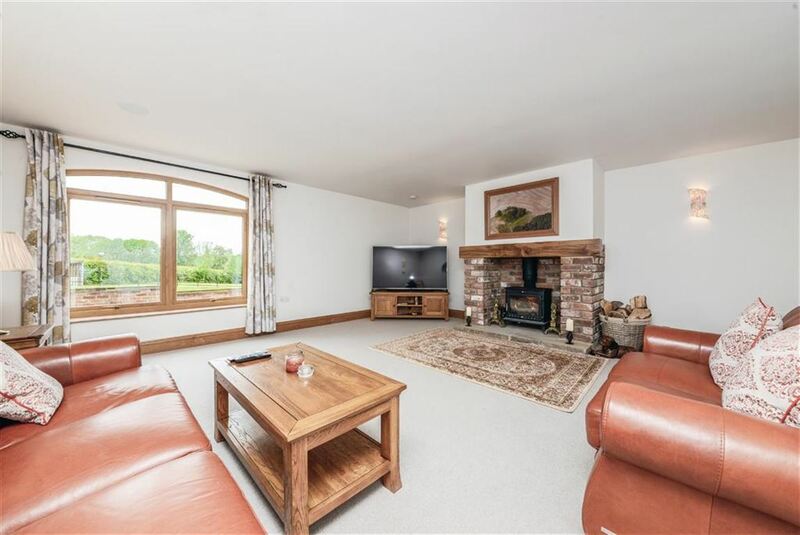 A spacious sitting room with log burning stove set in a feature inset fireplace with exposed brick and timber surround. 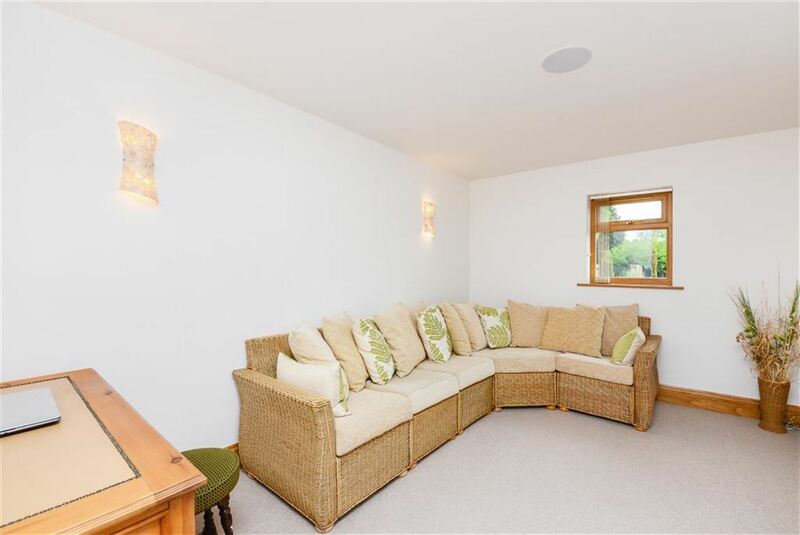 Wall light points and large picture window to the rear aspect with views over the paddock. A second sitting room or home office with window to the front aspect and wall light points. 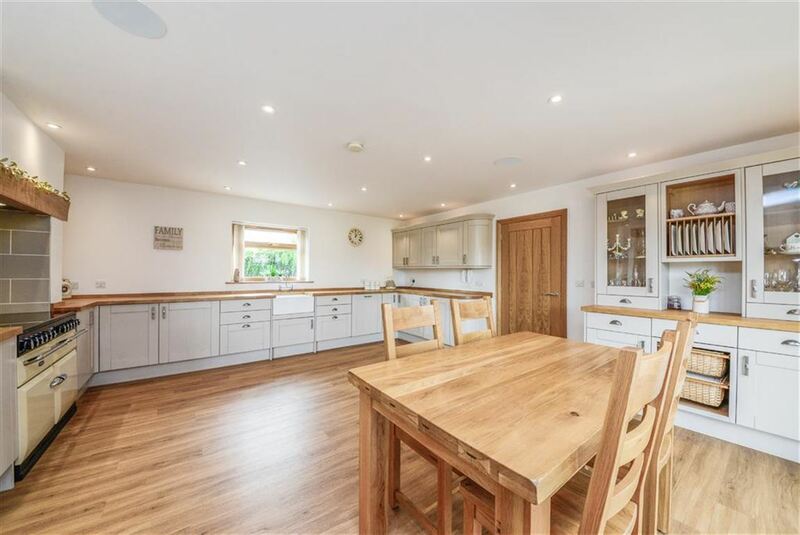 Part of the wonderful open plan dining kitchen this spacious family area off the kitchen features large picture window to the rear aspect and provides an ideal space for entertaining. 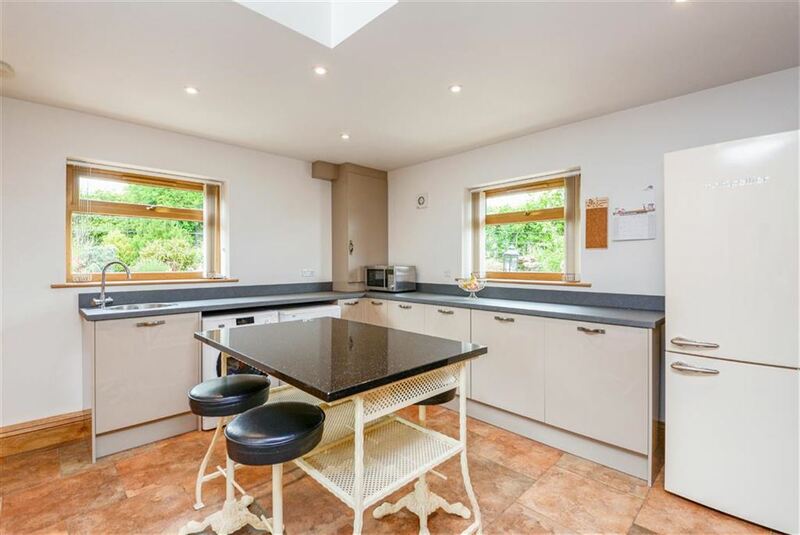 The kitchen is fitted with a comprehensive range of wall and base units with complementing solid wood work top space over incorporating a Belfast sink with mixer tap. Space for Aga with extractor over. Built in dishwasher and fridge. Spotlights to the ceiling. French doors to the rear patio and large picture windows fill this room with natural light complementing the neutral decoration and natural tones. 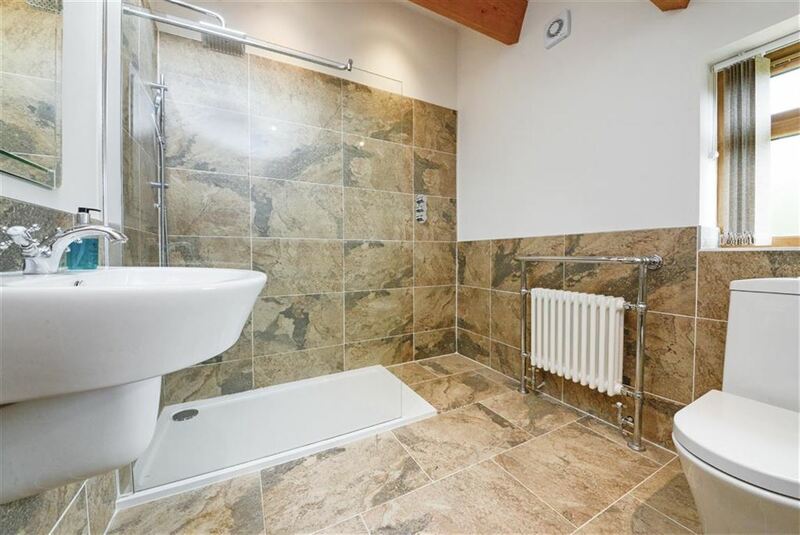 A spacious boot room utility with feature exposed brick wall and further fitted base units incorporating a stainless steel sink with mixer tap. Plumbing for washing machine and space for dryer. Tiled flooring, spotlights to the ceiling and windows to both side and rear. Second ground floor cloakroom fitted with a two piece suite comprising, wash hand basin and W.C. Window to the front aspect and extractor fan. 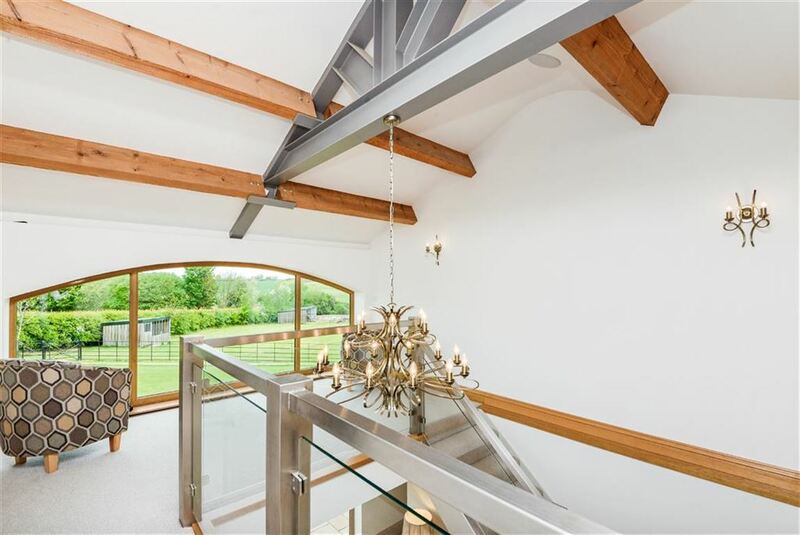 A grand landing with Apex ceiling featuring exposed timber beams and king post steel trusses. 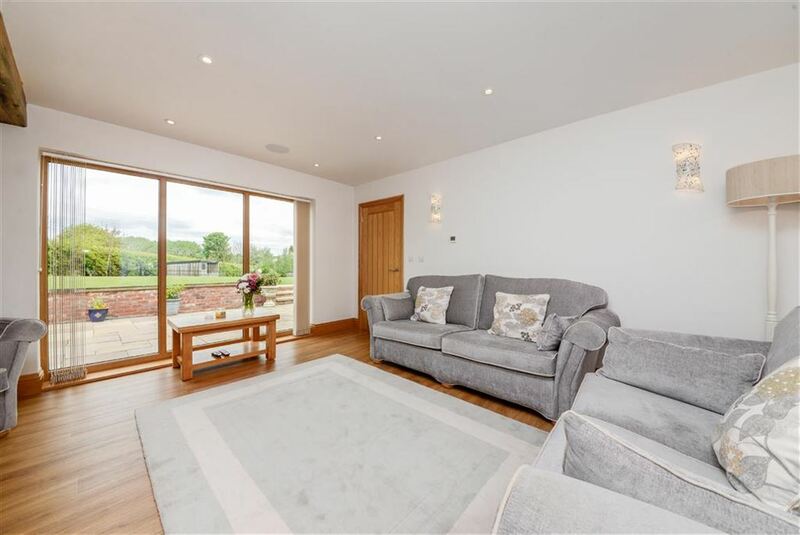 The magnificent gallery area with picture window allows full enjoyment of the views to the rear. To the front aspect 'arrow slot' windows add to the character of property while providing additional natural light to the generous corridor. 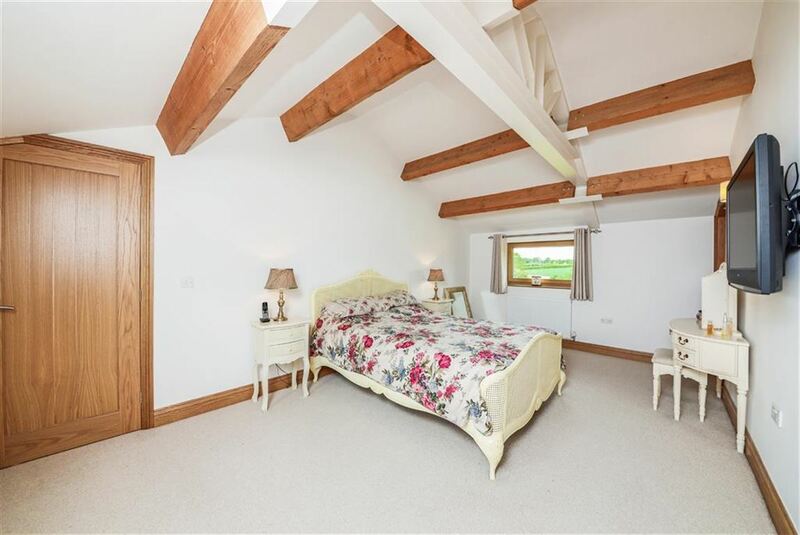 All bedrooms feature vaulted ceilings with exposed steel trusses and timber beams. The master suite features windows to both front and rear aspects along with walk in wardrobes and en-suite. 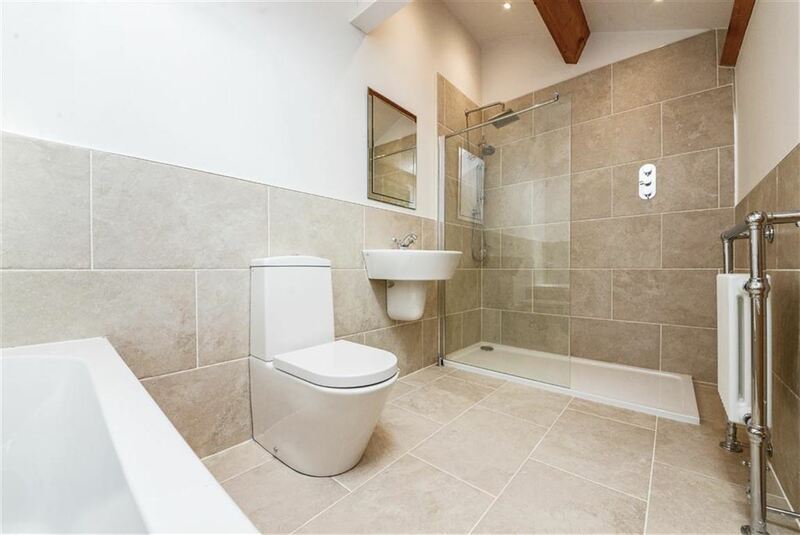 Fitted with a luxury three piece suite comprising, walk in shower, wash hand basin and W.C. Wiled walls and flooring. Extractor fan. Spotlights and exposed timber to the apex ceiling and window to the side aspect. 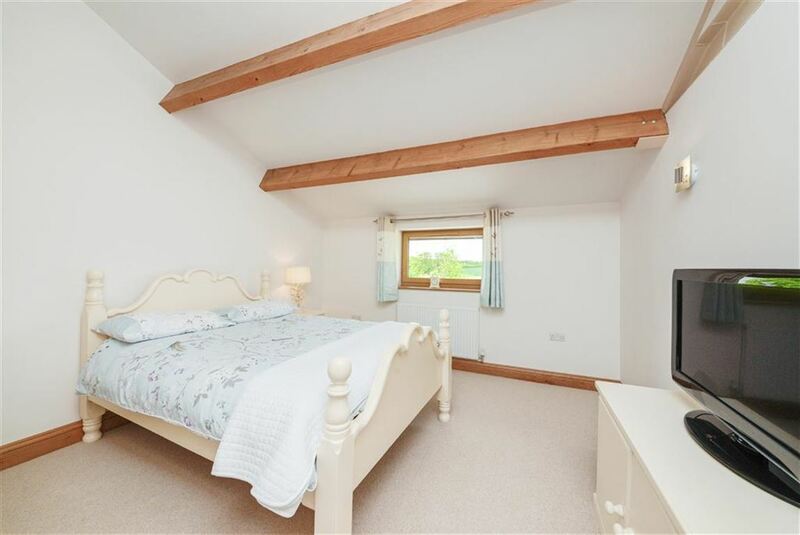 A generous double bedroom with window to the rear aspect. Exposed timber and steel work to the apex ceiling and en-suite. 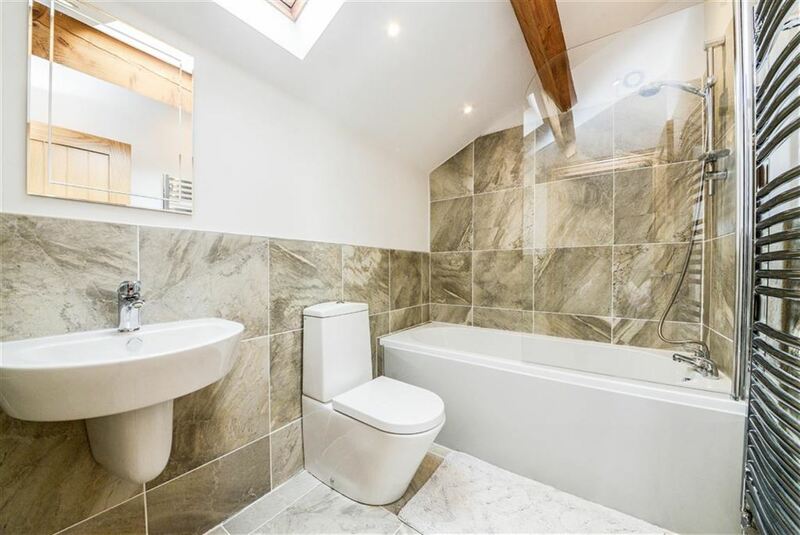 Fitted with a three piece suite comprising, bath with shower over, wash hand basin and W.C. Window to the front aspect. Extractor fan. Spotlights and exposed timber to the ceiling. Tiled walls and flooring. 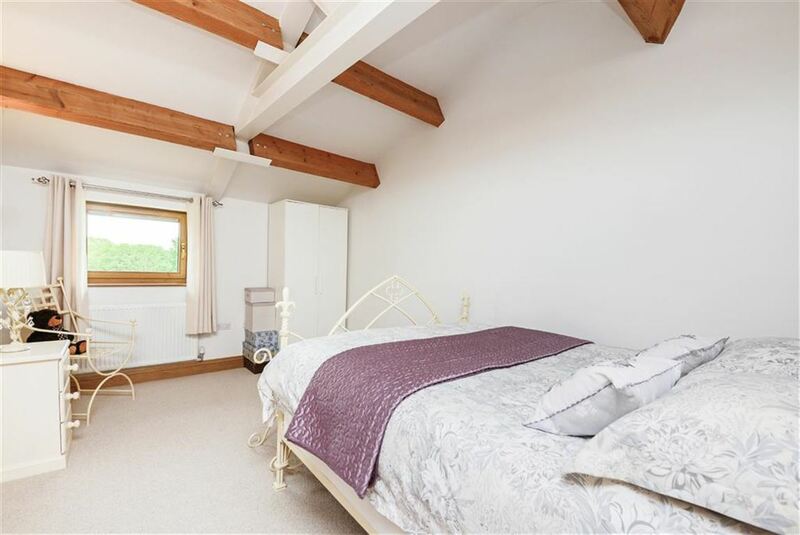 Double bedroom with exposed timber and steel to the apex ceiling. Two windows to the rear aspect. Double bedroom with exposed timber and steel to the apex ceiling. Window to the rear aspect. 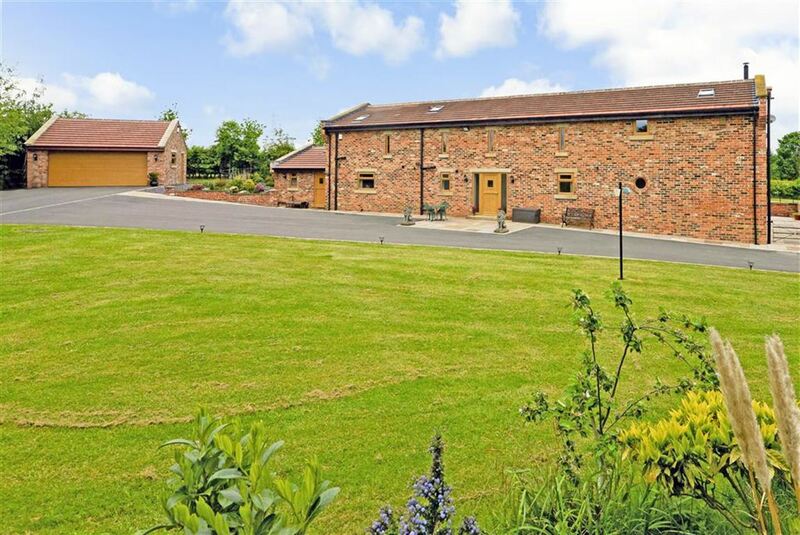 Fitted with a luxury four piece suite comprising bath, walk in shower, wash hand basin and W.C. Exposed timber and spotlights to the ceiling. Extractor fan. Tiled walls and flooring. 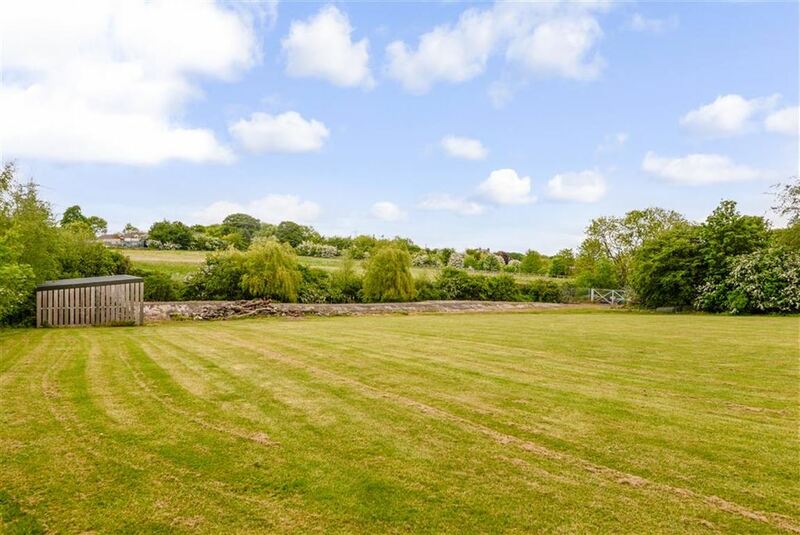 The property is a registered smallholding with land extending to approximately two acres of beautifully kept lawns and gardens complemented with planted borders and enclosed for security. 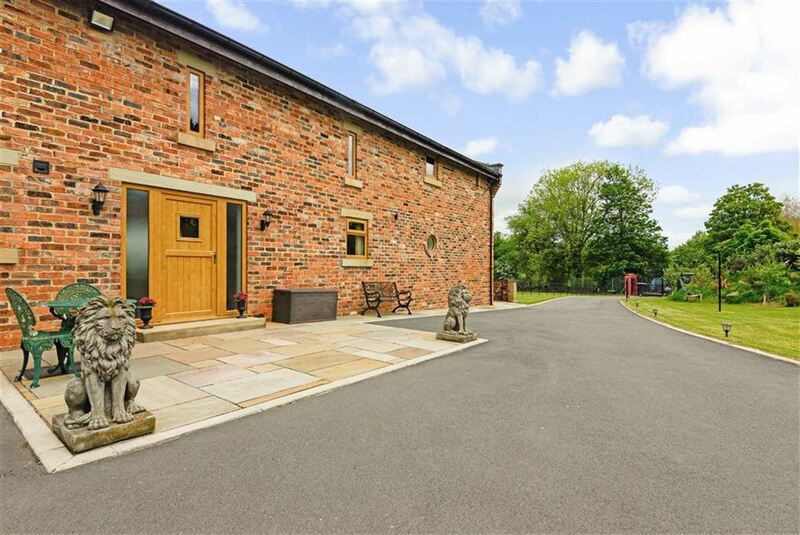 Electric gates and a large driveway lead from the main road to the house allowing ample off street parking and leading to the detached double garage. A secondary service drive allows access for larger vehicles ideal for anyone considering equestrian use of the land.